The further south you drive the less vegetation, animal life and human life you see. It’s certainly not a moonscape but a certain "Wild West" feeling emerges as you descend into the valley. I sped faster to arrive just short of sundown. 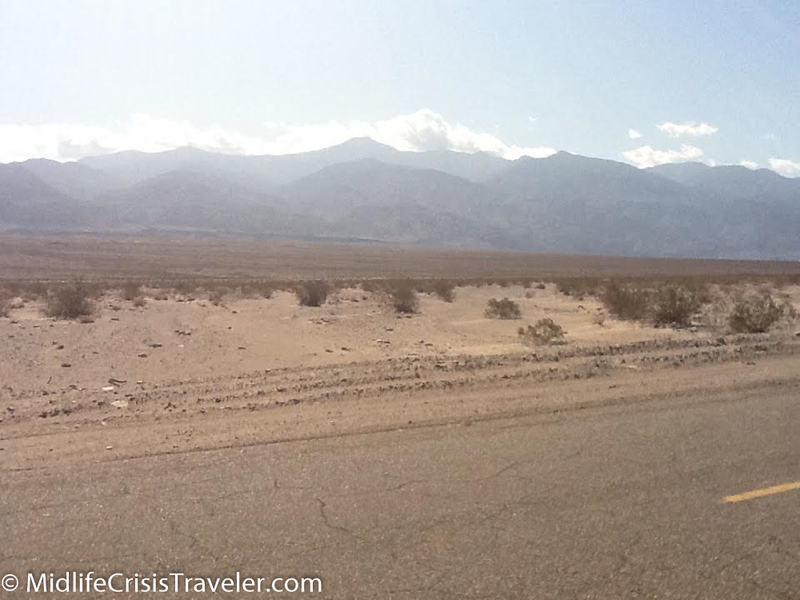 The sun was running to the west side of the Sierra Nevada mountains and I was still dozens of miles from Panamint. Rather than check in to the “resort”, I kept driving to reach the center of the first valley you reach when driving in from the north. It was mere minutes before the sun would escape till tomorrow so I stopped to preserve it with my camera. As I opened the car door, a young coyote approached as if he had waited all day for me to play with him. I attempted to shoo him away but, looking forlorn, he circled the car and stared at me again. I chose to drive down the road another fifty yards to take my pictures. It was obvious to me that past visitors had fed him which now made him oblivious to the dangers of humans. This is a huge no no for park visitors. Never feed the animals because they become dependent on food from humans. Also, you could feed them something that is harmful to them. As I exited the car, the sun’s orange blaze shined bright above the mountains as thunder rumbled in the distance. Although Death Valley only receives 2-3 inches of rain per year, rain was a factor in my visit. Rain did not materialize that evening but I was unable to reach certain areas of the park which were damaged by heavy floods just seven months earlier. 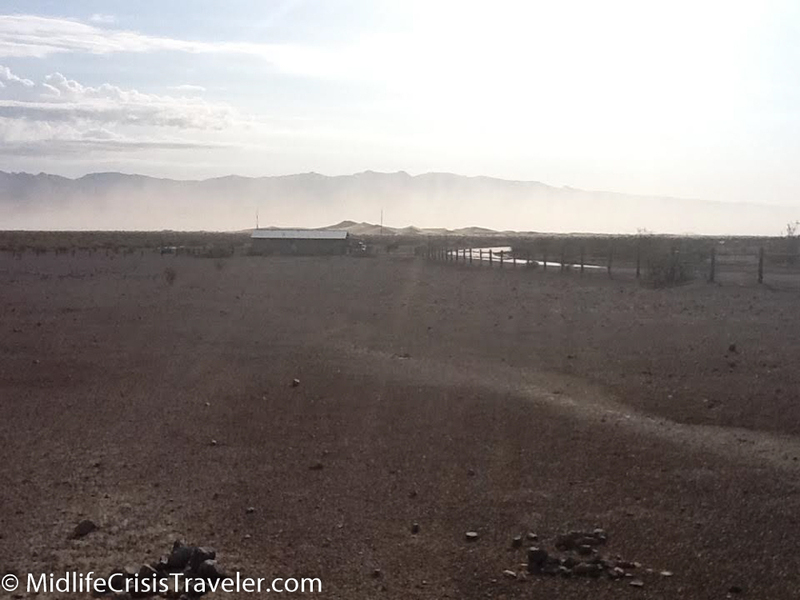 The sand dunes of Mesquite Flats kick up tons of dust on a windy day. Sand dances across the roads just like snow on a winter’s day. 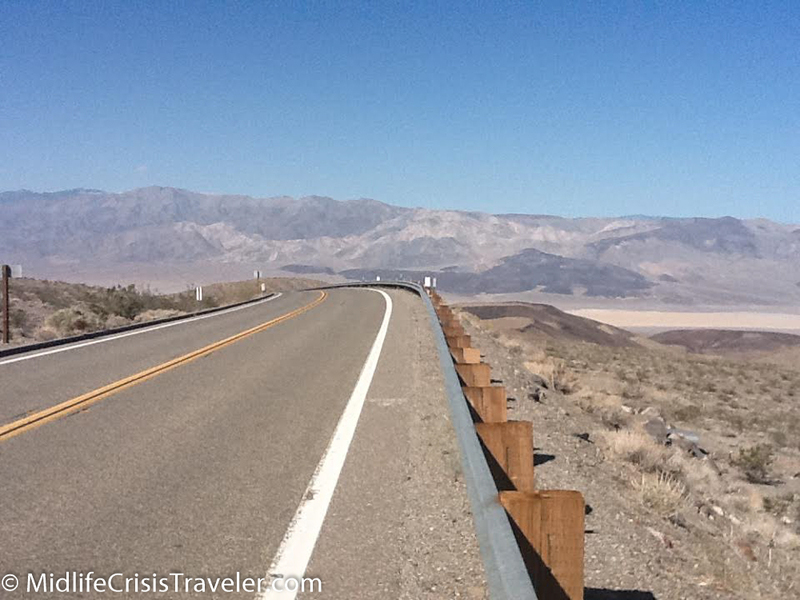 The picture above was taken near Badwater Basin which is North America’s lowest point at 282 feet below sea level. Death Valley is a desolate place yet still holds its beauty. A land of high highs and low lows. In a matter of minutes you can descend from 5000 feet in the mountains to below sea level. Simply unlike anywhere else in North America. 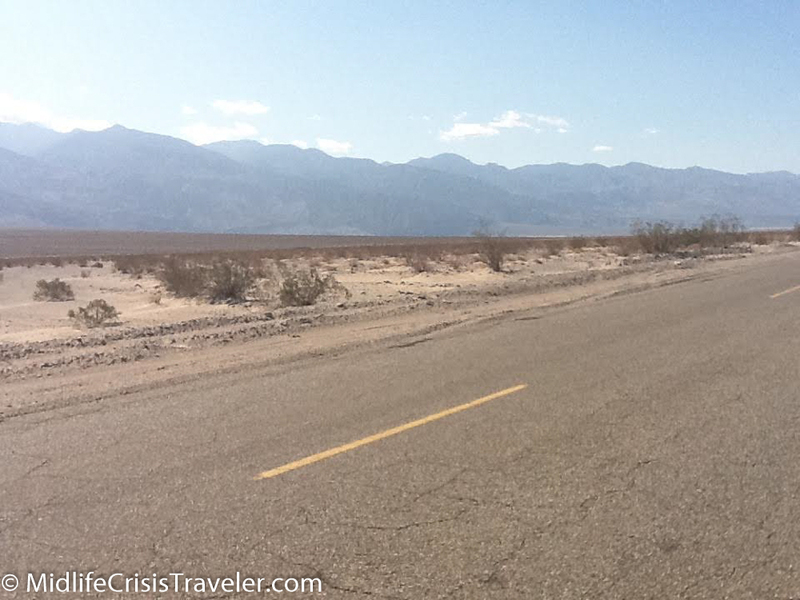 Have you been to death Valley National Park? What was your experience like? What is your favorite part of the park and why? For more information about Death Valley National Park, click the link below.